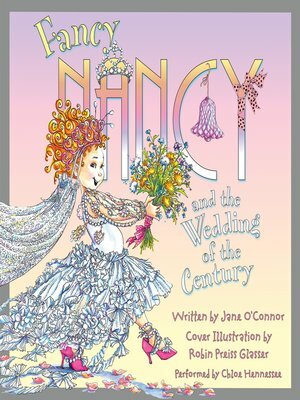 Fans of Fancy Nancy and weddings alike will laugh along with Nancy as she discovers how truly special a wedding can be—whether lavish or, as this one turns out to be, more down to earth. No one is more excited than Nancy when word of her uncle's wedding plans spreads. Nancy has visions of a trés magnifique wedding fit for a royal princess—with Nancy serving as a flower girl. But when Nancy finds out that the wedding will be held at a lakeside cabin at dawn and that there won't be a traditional flower girl, she's beyond disappointed. But in the end Nancy is able to add a touch of fancy to the festivities and appreciate the special joys of loved ones gathering to celebrate a wedding (especially when she learns that pancakes will be served at the reception!). Fancy Nancy's wisdom and creativity shine through to spark the joy of imagination in young readers.